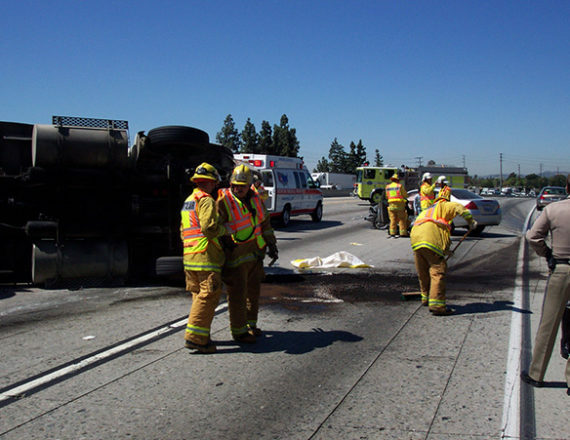 Spills can create a number of problems for first responders at accident scenes, from potential ignition of spilled fuels to a severe impact on stormwater. Emergency personnel have to secure the scene and deal with any injuries. The law enforcement officers at the scene want to get the road open as quickly as possible. All of these issues make it difficult to safely complete the job at hand. 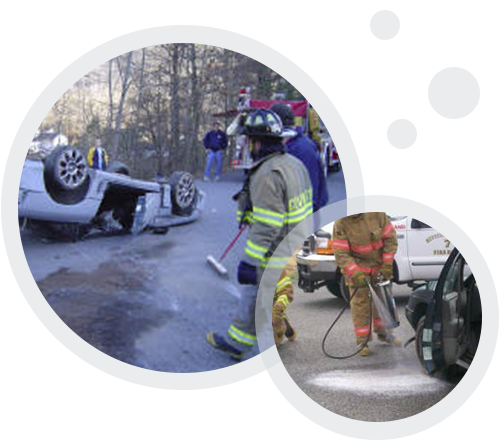 ECS Spill Response products are designed to help clean up the residual hydrocarbon from hydrocarbon spills, and also to quickly suppress vapors and encapsulate the spilled materials in the area.